Carnaval des Moutons is an ode to the zoetrope, a pre-film animation device that produces the illusion of motion by displaying a sequence of drawings, invented in 1834 by the British mathematician William George Horner. 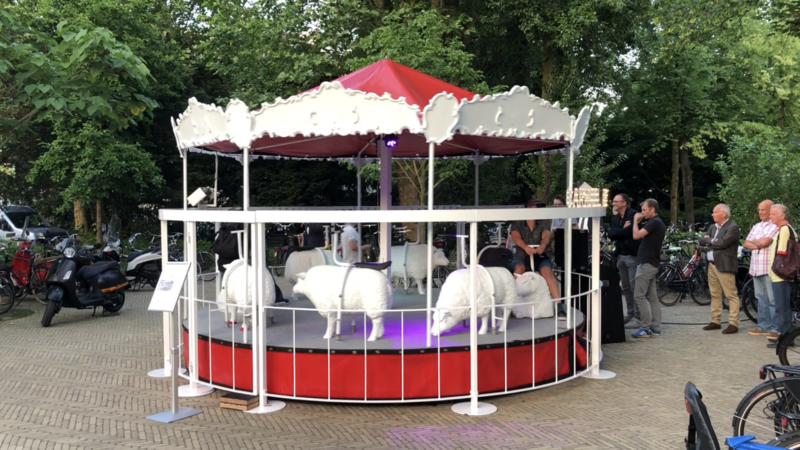 The installation consists of a merry-go-round filled with sheep. 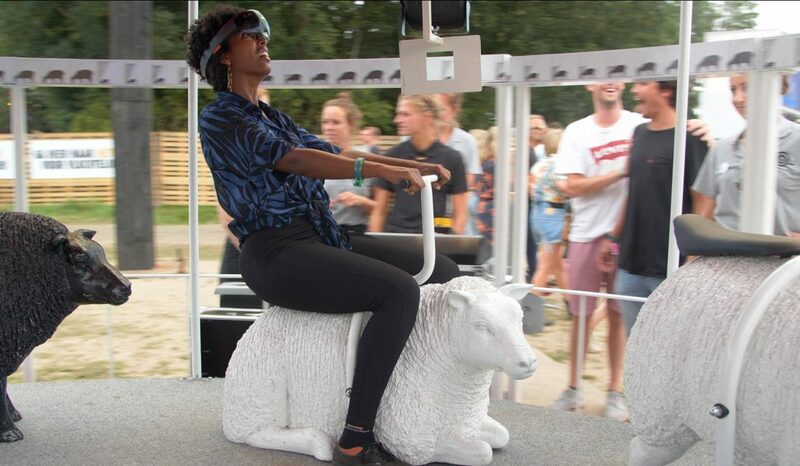 Participants are invited to take a seat ​​and don an AR-headset. 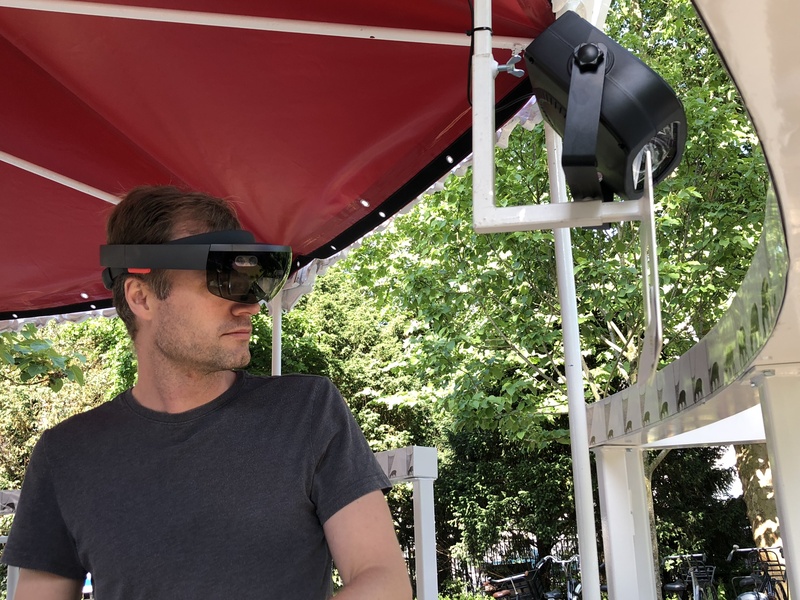 By setting the carousel in motion and looking as the carousel moves, an augmented reality will take shape showing images of the zoetrope history from almost a century old. As a result, one of the oldest methods of moving images is combined with one of the newest – merging both analog and virtual layers and creating a mixed reality artwork. For this installation, original zoetrope drawing cards owned by the Amsterdam Filmmuseum EYE have been scanned in a high resolution. 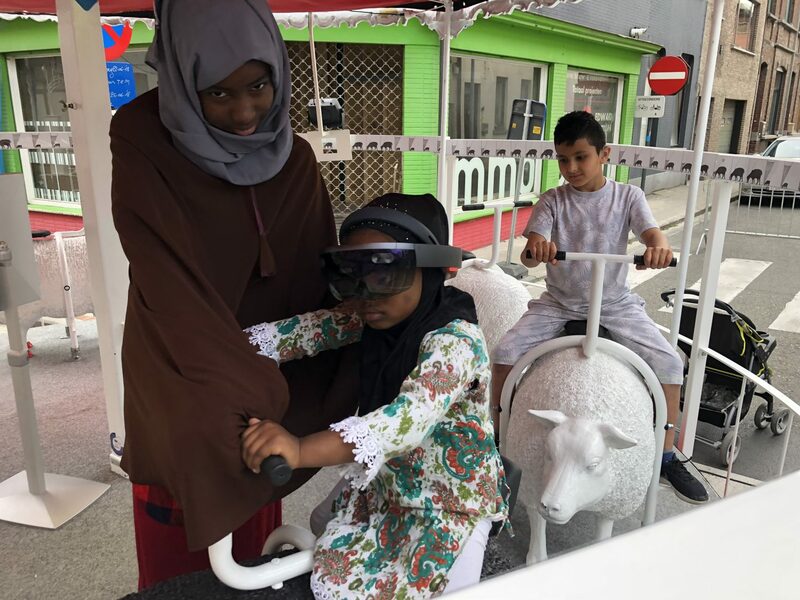 These have then been artistically framed in a three dimensional perspective using AR, which gives the visitor a unique experience inspired by cultural heritage. Carnaval des Moutons is part of The Fair Grounds: an artistic project by media design collective DROPSTUFF.nl, consisting of a collection of artworks where amusement rides are presented as art installations. A new narrative has been added to pre-existing attractions and old forms of entertainment have been updated. 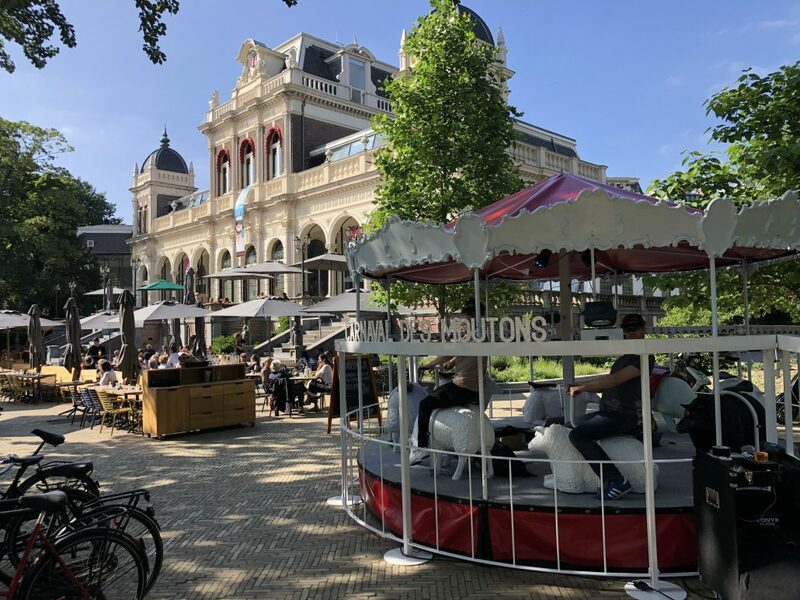 The result is a fairground where every ride has been modified, enhanced or completely redesigned: popular culture meets high tech and high art!